Live In The CENTER Of LoHi! Why Buy Condo With HOA When You Can Have More Space And Walk-Out To Small Private Yard? Whether You Are Investing, Waiting For The Perfect Place, Or Downsizing, Here Is Your Chance! New In 2016, Open Main Floor With Living, Dining & Kitchen. Tall Ceilings. Colorado's Earthwood Cabs, Expanded Quartz Counters, Gas Range & All Stainless Appliances. Eat-In Breakfast Bar And Pantry Too. Polished Concrete Floors On Main. 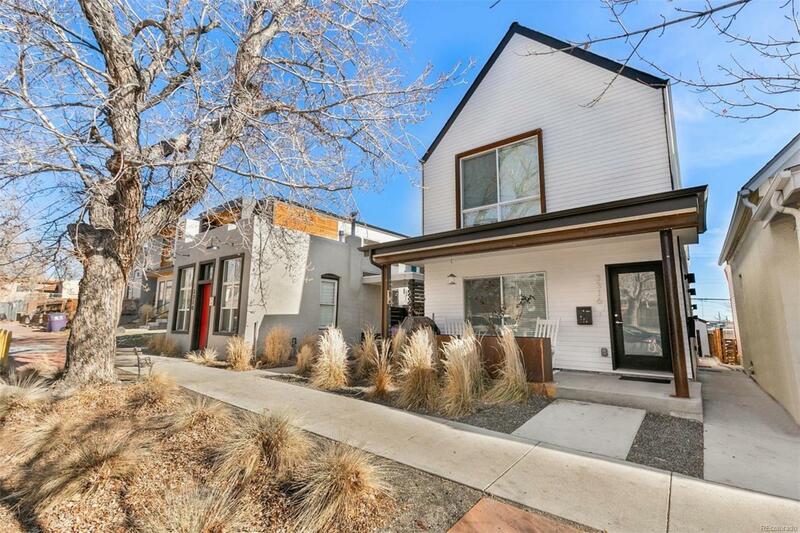 Head Up For Two Suited Bedrooms And Vaulted Ceilings. Both Sized For King Beds, Master Includes Large Stand-In Shower & 2-Closets. 2nd Bed Has Sleeping Loft Above Closet, Fun Space For Kids Or Thinking! Private Yard, Good Sized Garage. Both Units Available. Front Unit Has Lease Until 6/1/19 At $2900/Mo. May Need 2 Loans If Buying Both Or Pay Cash. Be Creative, Think Outside The Box, Live In One Unit & Short Term Rent Other At $300/Night. Many Possibilities!